You’ve heard William Shakespeare’s eloquent proverb, “the Eyes are the window to your soul.” Perhaps what he was stating is that by looking deeply into a person’s eyes, you can tell who they are and how they feel on the inside. Your eyes tell a story with each expression you make, but as we age those expressions can falsely project the emotions that we feel inside. Crows feet, wrinkles and under eye bags can make us look tired, sad or older than we are or how we feel. Now you can erase crow’s feet, grow longer lashes, reduce wrinkles and fill in under eye bags with these four ways to beautify your eyes. 1. Latisse– Latisse is a powerful eyelash growth stimulator available by prescription. It is a liquid that is applied daily to the base of your lashes using a small applicator brush. Latisse will grow your lashes longer, fuller, and darker. It can take 10-12 weeks to see a big difference so a little patience is required. But once they start growing, you will love the result! You do have to continue using Latisse regularly to maintain the effect. 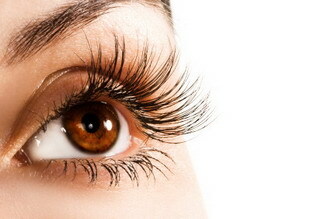 Latisse helps you look like you have eyelash extensions – except they are your own lashes! 2. Botox- Botox will relax your crows feet wrinkles and lift your eyebrows. With time most of us develop wrinkles radiating out from the corners of our eyes. These are commonly called the crow’s feet wrinkles and they can certainly make your eyes look older. These wrinkles are one of the most common areas for cosmetic Botox injections. Botox relaxes the outer eye muscles that cause these wrinkles. 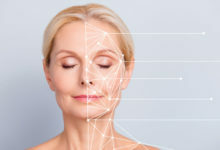 It usually takes about one to two weeks for the Botox to “kick in” fully, but once it does; those wrinkles soften considerably and sometimes go away completely. And not only will your eyes look younger with the wrinkles gone, but also they can also appear bigger and more open. 3. Dermal Fillers– No one likes to hear, “You look tired”. Especially when you don’t feel tired. Many individuals suffer from bags under their eyes. This condition can worsen with age. Dermal fillers under the eyes help with the problem of bags and fills in the depressed curve that forms between the cheek and the bag. Dermal fillers can also build up the cheek to help smooth the area between the bag and cheek. The goal is to fill the trough below the bag and lift the cheek to provide a more natural contour between the two, effectively masking the appearance of the bag. 4. TNS Eye Repair. When comes to eye cream, we are bombarded with dozens of marketing messages everyday and it can seem almost impossible to choose the right one. One product that is highly recommended at Belladerm Medspa is Skin Medica’s TNS Eye Repair. It is the ultimate eye treatment cream, formulated with NouriCel-MD®, peptides, high concentrations of Vitamins A, C & E and Hyaluronic Acid to dramatically improve the appearance of the delicate skin around the eyes. TNS Eye repair contains growth factors that increases firmness and elasticity, improves the appearance of fine lines and wrinkles and strengthens the delicate skin around the eyes. Vitamin E hydrates the fragile skin around the eyes while multiple extracts help to reduce the appearance of dark circles. Vitamin A gives a gentle exfoliation to the delicate eye area and assists in decreasing fine lines and wrinkles. Your eyes don’t have to tell a false story of how you are truly feeling on the inside. With these four ways to beautify your eyes you can look healthier, more youthful and well rested. Always consult with a certified and highly trained nurse injector or physician to establish a treatment plan that is best suited for you. 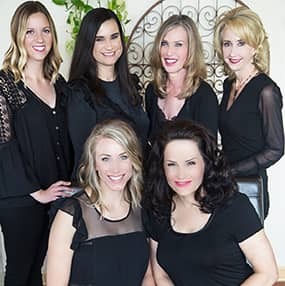 As always, consultations are complimentary at Belladerm Medspa! from July 14th through August 28th. That’s $75 towards future Allergan products and services!